Get Active! Fundraise Through Sport. 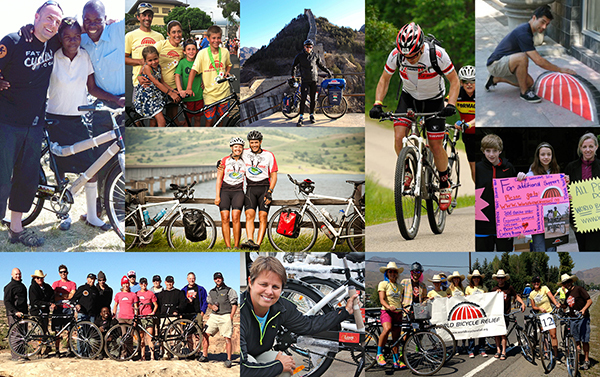 Team World Bicycle Relief is a group of passionate athletes around the world raising funds and awareness for The Power of Bicycles. Whether you cycle, swim, run, ski, or surf, you can use your love of sport to mobilize people in need. For $147 - the cost of a pair of running shoes or a weekend ski pass - we can provide a bike that will help a girl student attend school or a farmer get his milk to market. As a member of Team WBR you'll raise a minimum of 10 bikes ($1,470) and in return, you'll receive special incentives from industry leaders. The more you raise, the more you get! So what are you waiting for? Join Team WBR and create your fundraising page today!